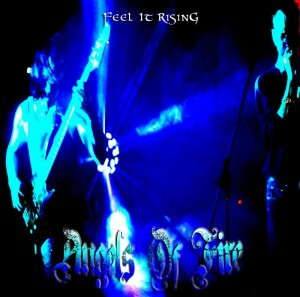 Canadian metal band, Angels Of Fire, have released their full-length debut album Feel It Rising on February 23, 2016. The band which hails from Barrie, Ontario, Canada defines itself as a combination of progressive, melodic and power metal. Angels Of Fire have been writing and playing their own brand of heavy melodic metal since forming in 2010. After several member changes, singer and writer Rams was joined by guitarists Elijah and Neil, bass player Thanos and drummer Allen. The 12 track Feel It Rising album is a raw and driving album with hints of everything from classic ’80s power metal, to ’90s alternative rock, to modern metal.